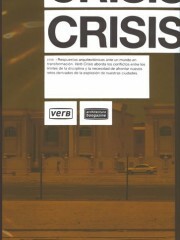 Verb Crisis examines architectural solutions to the extraordinary conditions of an increasingly dense and interdependent world.It presents innovative projects and research through original photos, essays, and exclusive interviews with key figures from architecture and urban planning to environmental, economic, and global affairs. 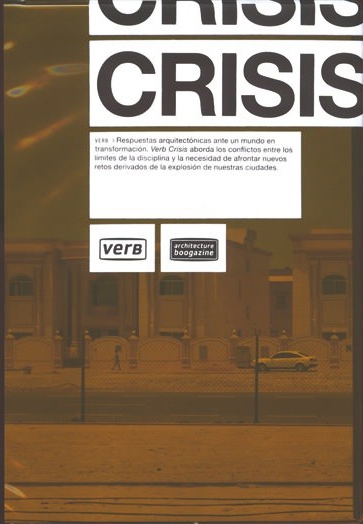 Confronted by shifting densities and uncharted urban transformations, Crisis tackles the conflict between the physical limits of architectural design and the demands on the practice for an updated social relevance. Featuring: FOA, Teddy Cruz, Shigeru Ban, Elemental, Boris B.Jensen, Hilary Sample, John May, Jacobo García Germán, Markus Miessen, Interboro Partners, MVRDV, and Takuya Onishi.